On December 22, 2017, President Donald Trump signed the Tax Cuts and Jobs Act (TCJA)—colloquially referred to as tax reform. 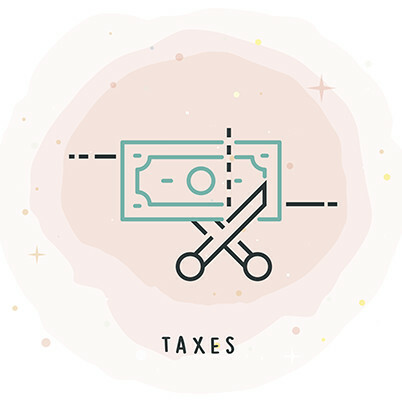 The bill permanently cuts the corporate tax rate, and temporarily cuts income tax rates for all individual filers and married couples while eliminating some deductions (individual cuts expire in 2026). Retirement plans and taxes go hand-in-hand. During the process of developing the bill, a proposal was floated around Congress to cap 401(k) tax-deferred contributions at only $2,400, which would have meant a deep reduction from the current 2018 contribution rates of $18,500 (or $24,500 if you’re above the age of 50). Reducing the tax-deferred benefit of a traditional 401(k) contribution may have meant a shift to more Roth plans, which are taxed prior to saving. That proposal was not included in the final bill. Traditional 401(k) contributions won’t be taxed until funds are withdrawn during retirement when they’re taxed as regular income, and therefore will be taxed at whatever the current income tax rate is for that individual’s income bracket. Roth 401(k) contributions are taxed as regular income before they’re added to a retirement account; so again, they’ll be taxed at the current rate for that individual’s income bracket. While current savers with Roth accounts will benefit from lower up-front taxes, current retirees withdrawing from Roth accounts will see no added benefit. However, retirees appear likely to see more of their earnings from their traditional 401(k) savings in their pocket with the revised tax rates as a result of recently-passed tax reform. Since those savings were tax-deferred when they were saved, the money was never taxed in the first place, and retirees will now see a lower effective rate than they would have with the 2017 tax brackets. The chart shows a lower effective tax rate—the average combined tax rate from the new income brackets—for married filers, meaning they’ll keep 1.47% more of their money. That lower tax rate means an additional $766.67 per year, or about $63 more per month. So under the TCJA, our example household will see a modest after-tax income increase—enough to make a difference if an earner were to contribute those savings to their retirement plan, but probably not enough to make an impact on everyday living. Those extra savings have the potential to do more good down the road when it’s needed in retirement, due in part to potential growth from compound interest. Compound interest is additional interest from investment gains that is continually reinvested—that interest continues to accumulate on the savings that are already invested. Given time in an investment vehicle, like a 401(k), the power of compound interest can grow the value of that extra $63 per month, making it more beneficial in the long-run than spending it today. Tax cuts may offer up a great opportunity for business owners to encourage their employees to stash away extra earnings into their company-sponsored 401(k)—where modest tax savings may be able to work harder for them in the long-term than a few extra cups of coffee each month.